Situated 1.2 km from Lebanon Municipal Airport, this New Hampshire hotel offers free airport shuttles, a restaurant and indoor heated pool. Guest rooms feature cable TV with HBO. 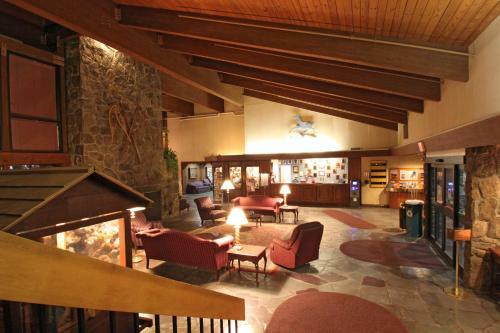 The Fireside Inn in West Lebanon is nestled between the White Mountains of New Hampshire and the Green Mountains of Vermont in the Connecticut River Valley. Our covered bridges and historic towns gave birth to the phrase “New England charm.” Home of Dartmouth College, our area combines educational, cultural and recreational opportunities, spectacular beauty and a wealth of interesting places to visit.